Join us for a community meetup in Brussels on October 10! 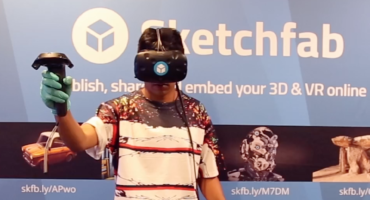 Sketchfab very often organises meetups inside its community, everywhere in the world. Now, it’s time for Brussels! It is with great pleasure that we invite you to join us on October 10 to the first Belgian meetup! It’ll take place at the Botkamp, great place in the Belgian gaming world. Bart, our Community Manager, will make the trip to be with us, and we should have an Oculus Rift available. To join the event, please RSVP on our EventBrite page (or don’t want to use EventBrite, just email Bart).